Losing your beloved kitty cat can be one of the most devastating events of your life. Your cat is a member of your family after all, so losing them feels like your child has gone missing. July is ‘National Lost Pet Prevention Month’ and serves as a vital reminder to make sure people take the proper steps so their pets do not get lost. While you may think that your cat will never get lost, there is always the possibility something could happen. Make sure you are always prepared and take the necessary steps to prevent your cat from getting lost in the first place. 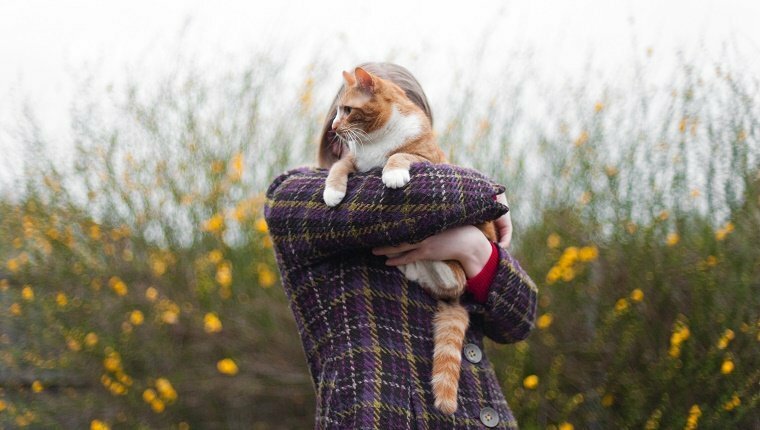 Here are ten important tips to make sure you won’t ever lose your beloved cat. Microchip detection has significantly helped reduce the amount of lost pets that end up in shelters. Thanks to this technology, shelters and animal rescues can quickly identify your cat’s name, your own contact information, your vet’s information, and return your cat to you. If your cat gets lost, a shelter or veterinarian can immediately scan their back for the rice-sized microchip that is placed directly under the skin. It is completely painless for cats to get and they will go their entire lives not even knowing it’s there. 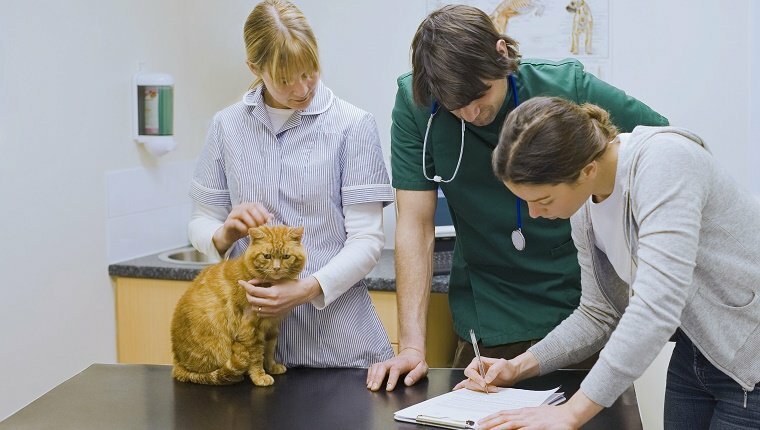 One quick injection can save you the hassle of having to worry that your cat has no way of being identified. Legally, this can also help if someone steals your cat, as you can prove you are their rightful owner. If something were to happen to your cat, you want to be as prepared as possible. This is why it’s vital you have all of your cat’s official documents organized and easily locatable. The fastest way to be reunited with your lost kitty is to have all of their information ready. That way you can provide proof of ownership to shelters, vets, and animal rescues instantly. You should have a recent photo of your cat so you can put up “lost” flyers with what they look like at the moment, along with documents like vaccine records, your vet’s information, shelter information, and more. Also have the phone numbers of local shelters or animal rescues on hand so you know immediately who to contact if something were to happen. Traveling with your cat brings a high risk of losing your pet. Unlike dogs, cats are homebody creatures and are not used to casual travel. When you do have to travel with a cat, they are more likely to be scared and disoriented, thus leading to more of a chance that they could escape and get lost or killed. Cat carriers are extremely important in preventing your cat from getting lost. They not only keep your cat safe while traveling in a car, but they prevent cats from jumping out and running away when you open your door to get out. Also, cats like to be in enclosed tight spaces when they are uncomfortable, so cat carriers provide them with relief while keeping them safe. There are many carriers to choose from depending on the age of your cat, their size, and the distance of travel, so make sure you choose the best one for both you and your cat. While owning a leash and harness may seem obvious to a dog owner, it’s important to remember that cat owners should also have a leash and harness on hand for certain situations. When you travel with your cat in a carrier, as a precaution you can attach their leash and harness to them while they are in the carrier. This way, when you remove your cat from their carrier you can hold on to their leash to be sure they won’t get away. 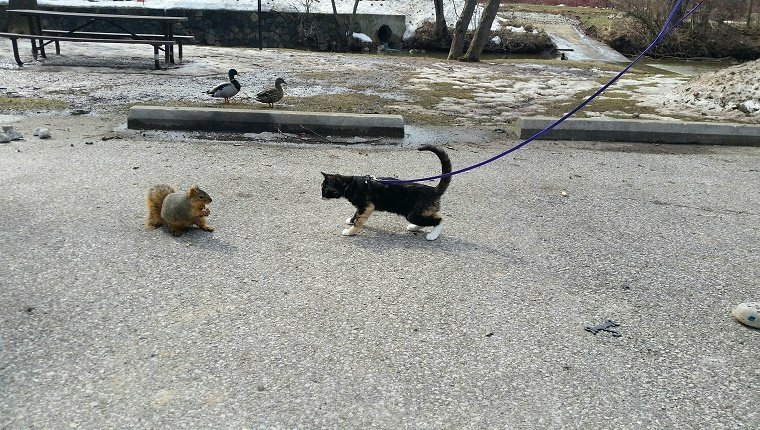 Also, some people can actually take their cats for walks or have some outside time in their backyards using a leash and harness. This way, your cat can explore the outdoors while still being safe at your side. For indoor cats, it is especially important that your home is secure. Indoor cats that are not used to the outdoors can easily become lost, as they are unfamiliar with the new environment. Gates in front of the doors you use to leave the house will prevent your cat from accidentally escaping. Additionally, make sure if you have windows open the window screen is secure and has no rips or tears that your cat can escape through. If you want your indoor cats to have time outside, you can buy a fun play pen that will allow your cats to experience the outdoors while staying safe. If you want your cats to be able to go in your yard without roaming the neighborhood, first make sure the fencing around your house is completely secure. Cats are very flexible creatures that can squeeze through pretty much anything, so any lose panels or holes will be a problem. Also, cats have a very easy time jumping, no matter the height of your fence, so chicken wire lining the top of your fence will prevent them from getting out. Every cat should have a collar with an identification tag, even indoor cats. There is the possibility your indoor cat could accidentally escape the house, so you want to be sure they have a collar so they can be easily identified in an emergency. Also, collars are helpful in that they prevent people from misidentifying your cat as a stray. It can be easy for a stranger to believe a cat without a collar has no owner. 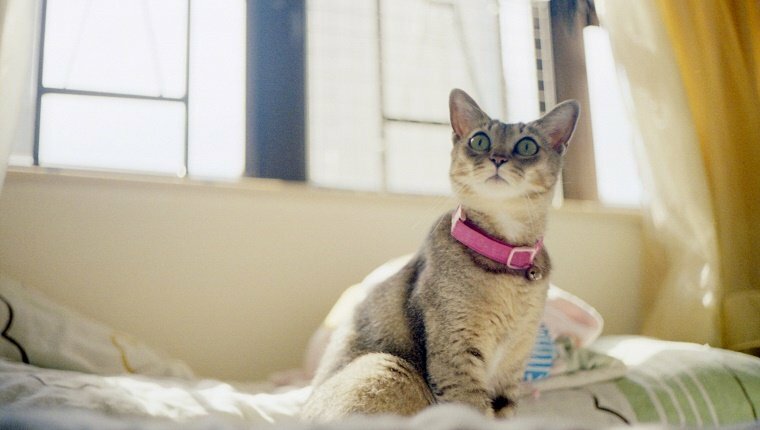 Collars make it clear that your cat is yours and has a home. Cat tags are vital in that they not only have your cat’s name, but also your phone number and address in case they get lost. You can get cat tags for a cheap price at any local pet store. To be extra safe, you can also write your phone number on the inside of the collar with a sharpie. There are a variety of collars, so make sure you find the one that best suits you and your cat. Spaying and neutering your cats not only prevents overpopulation, but it also significantly reduces the chances that your cat will become lost. Male cats that are not neutered have a high sexual drive, and in order for that drive to be met, they want to find female cats. Non-neutered cats are more likely to try and leave the house and go wandering off to find nearby female cats to mate with. If you have an indoor cat, this can be especially problematic as your cat will continually try to escape from your house, which not only leads to getting lost, but also the possibility of death by cars. Also, female cats that are not spayed will try to put their scent in as many places as possible for male cats to find, which increases the likelihood of them roaming the neighborhood. Neutering and spaying will relax your cats and make them better pets that actually want to stay near you. Not matter how many tips we can give you on how to keep your cat from getting lost, the most important one will always be to pay attention. Paying attention may seem like a simple rule, but it can honestly be one of the most forgotten ones. With things like work, kids, families, and more, it can be easy to forget to check in on your cat. However, remember that your cat is another member of your family. You wouldn’t forget to pay attention to your kids if they were playing outside, so you shouldn’t forget to pay attention to your cat as well. Always be sure to check where your cat is so you know their location and what they are up to. 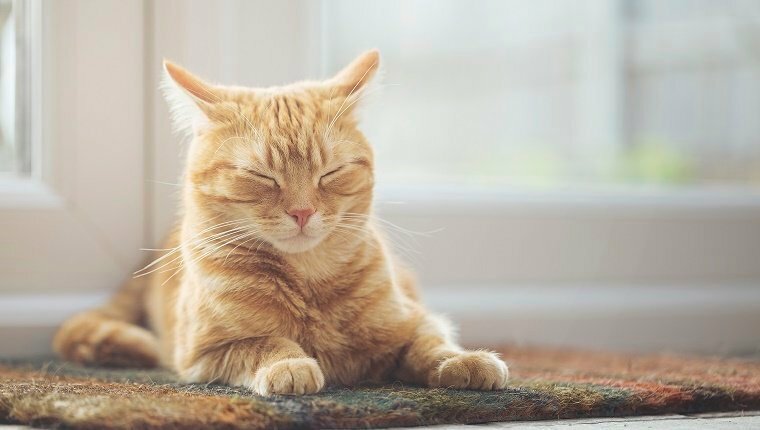 You don’t have to check every second, but it’s good to have a sense of your cat’s whereabouts throughout the day so you can have peace of mind knowing that they are safe. Also, if you are letting your cats outside, paying attention to their location is vital so they don’t escape and get lost or hit by a car. For cat owners who let their cats go outside, it is extremely important that you bring them in when you are not home and when you go to bed. For some cats it is completely part of their normal routine to go outside, and that’s perfectly fine if that works for them. However, even though your cat might know its way around outside, if you are not home and able to keep an eye on them, something could happen. You want to be around if you have to bring your cat in during an emergency. Also, small cats can be in danger due to coyotes, mountain lions, and hawks, so for this reason you definitely want to bring them in, especially at night. You may think it’s impossible to train a cat, but think again. While cats are not the most cooperative creatures in comparison to dogs, it is actually possible to teach your cat to come when called. It may take patience and a lot of time, but it is really important for your cat to become familiar with being called because it can help prevent your cat from getting lost and be helpful in an emergency. If you know what motivates your cat, than you can train them. Food is a great way to get your cat to come. If they know the sound of a treat bag or the sound of you opening a can of wet food, you can associate that sound with their name. By calling their name while making the sound of the food, over time the association will become stronger. Don’t give up because this tip can really come in handy. Do you have any tips to prevent your cat from getting lost? Let us know and leave a comment below.